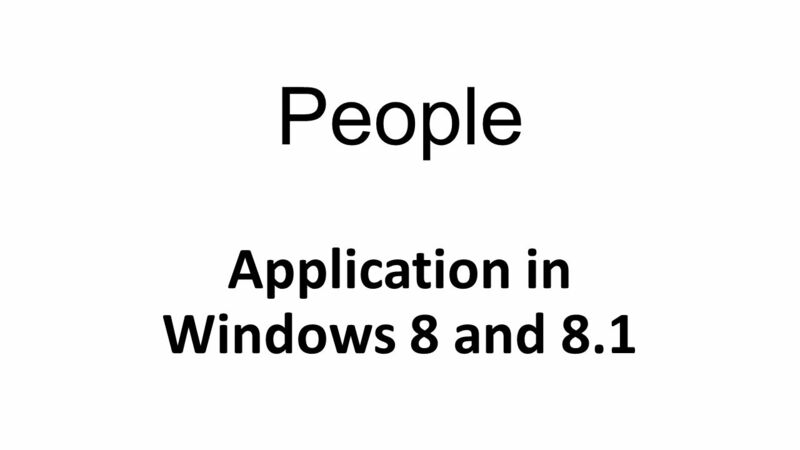 People Application in Windows 8 and 8.1. Social networks and email contacts are usually stored in the address book. The People app connects all email. 3 Social networks and email contacts are usually stored in the address book. The People app connects all email and social network addresses in one place. 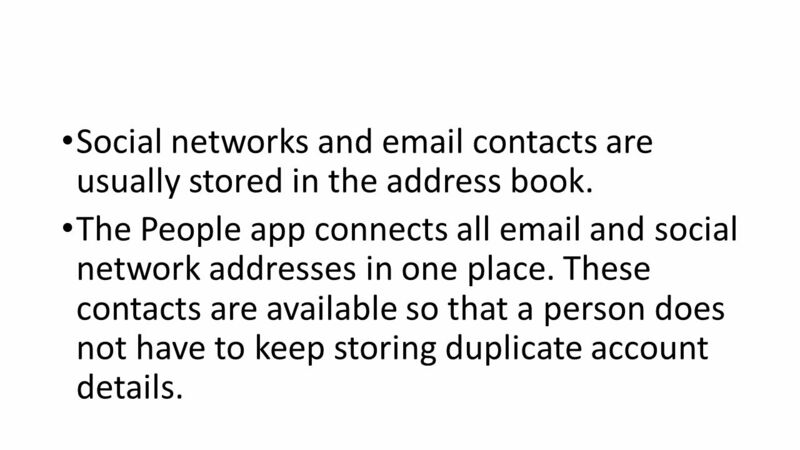 These contacts are available so that a person does not have to keep storing duplicate account details. 4 Open the People application from the Start Menu. 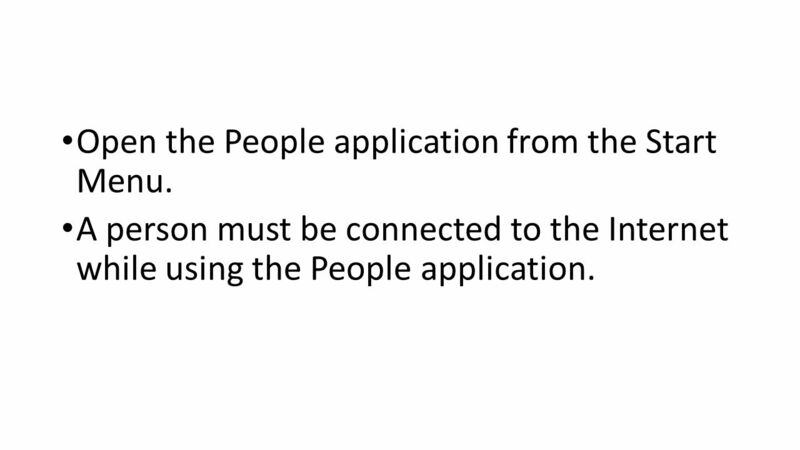 A person must be connected to the Internet while using the People application. 5 Placeholders can be replaced with profile pictures. 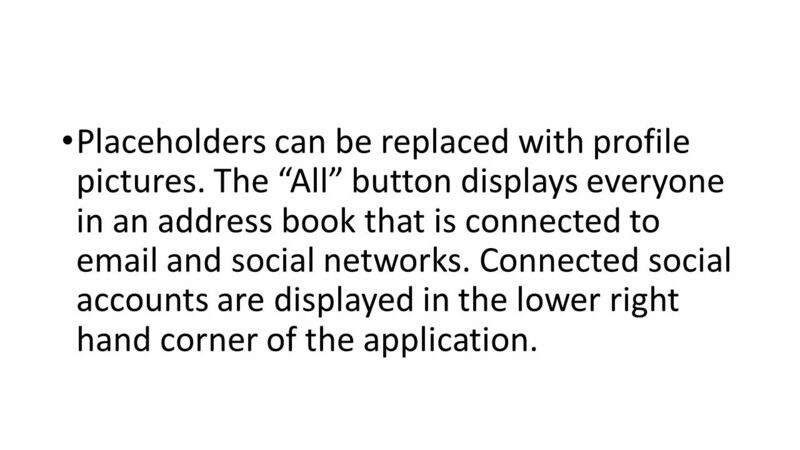 The “All” button displays everyone in an address book that is connected to email and social networks. Connected social accounts are displayed in the lower right hand corner of the application. Download ppt "People Application in Windows 8 and 8.1. Social networks and email contacts are usually stored in the address book. The People app connects all email." Pocket Profile provides you instant access to all the property information available on Express.TicorTitle.com With Pocket Profile you can: Search by. Support.ebsco.com Creating Journal Alerts Tutorial. Support.ebsco.com Creating Search Alerts Tutorial. Images Throughout this slide show there will be hyperlinks (highlighted in blue) follow the hyperlinks to navigate to the specified Topic or Figure. Hyperlinks. Support for Students H:Drive. Students H:Drive (Home)  How to locate your H:Drive >It is important for students to check to see if they have a H:Drive. MANAGE CONTENT WITH SHAREPOINT. An integrated Web-based system. An integrated Web-based system. Centrally store, manage and access documents using your. Creating a professional iTunes Account Vera S. Weber Technology Integrationist Marshall Public Schools August 6, 2013. Setting Up Dropbox PCNA: HOW TO SETUP & SYNC FILES WITH DROPBOX. © 2012 Microsoft Corporation. All rights reserved. Introducing user accounts. 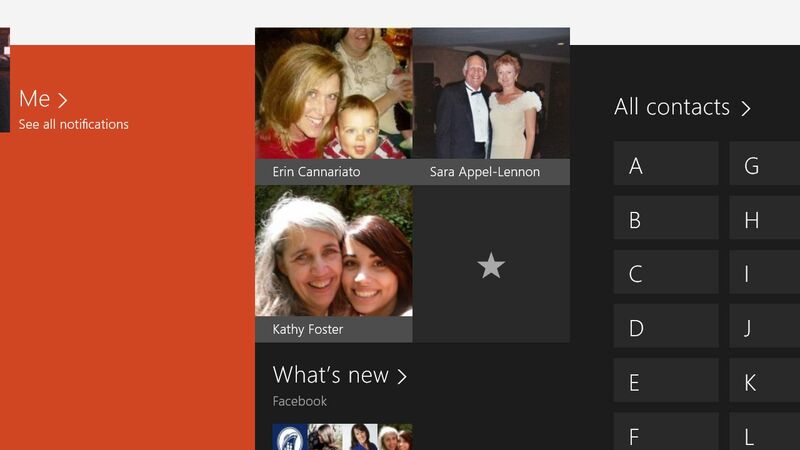 With Windows 8, you can set up a Microsoft Account. When you do, your personal. 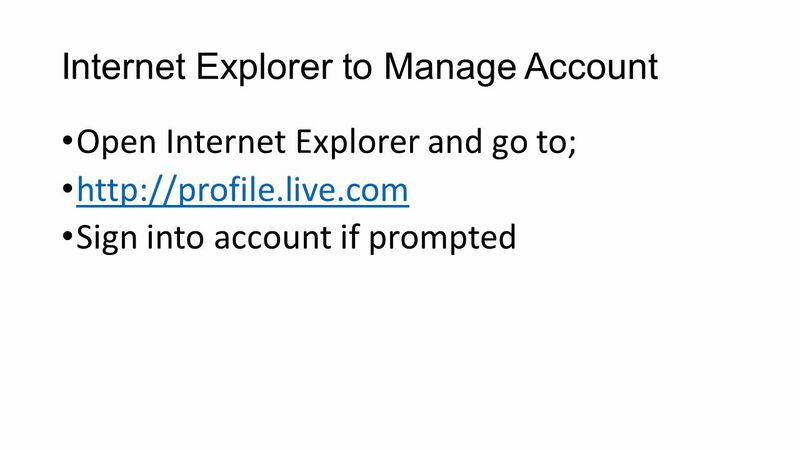 XP Browser and Basics1. XP Browser and Basics2 Learn about Web browser software and Web pages The Web is a collection of files that reside. Browser and Basics Tutorial 1. Learn about Web browser software and Web pages The Web is a collection of files that reside on computers, called. Downloading eBooks to your iPhone, iPad, and iPod Touch from Overdrive. Advanced Last Updated: May Class Outline Part 1 - Review –Review of basics –Review of files and folders Part 2 - Attachments –Sending. Sharing Data Through Internet By: Saud Ahmad Rokhani Data Analyst EPI Cell Sharing Data Through Internet By: Saud Ahmad Rokhani Data Analyst EPI Cell. The “Cool” Way to Share Your PowerPoint. Slideshare 1. Go to 2. Sign up for a free account – Click. WebAdvisor. Is the web interface to the college’s administrative student information system. (Datatel’s COLLEAGUE) Is available anywhere one has access.